About 10 years ago the first escape games in Berlin were opened. In the meantime the capital of Germany offers over 30 officially registered escape games, missions and exit rooms. The different locations differ when it comes to the themes, pricing and quality. When you are visiting for a short time you probably will not be able to visit all of them and therefore we did some research for you and listed the best games in Berlin in this article. 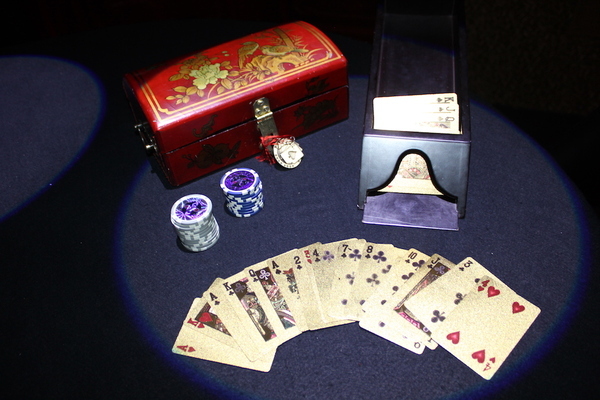 In 2006 the first escape game was created in Asia. Shortly after many other countries followed but it took the games a few years more to find their way to Europe. 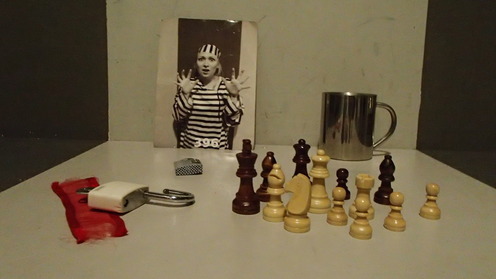 The goal of the original escape games was to get out of a specific room within 60 minutes. In this time-period you have to solve all sorts of puzzles, secrets and riddles to get closer to the goal of the game. In the meanwhile there are a bunch of alternatives to the traditional escape games as well. Besides the traditional exit rooms which are described above, there are also plenty of locations who offer more of a mission to complete. These games are a bit different and do not solely focus on escaping from a closed room. These missions can be anything from detonating a bomb, finding a treasure, getting information or figuring out what happened to a specific person. If you love escape games it might be fun to try one of these missions for a change as well. Both missions and escape games in Berlin are represented in this article so just choose what seems most interesting to you. 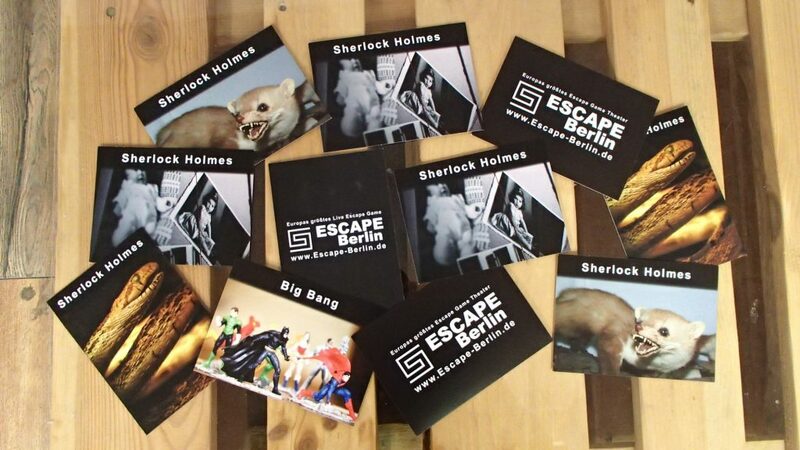 Below you can find our selection of the best escape games in Berlin. You can either click on one of the links or scroll down and check all of them out. Let us know if we missed out a great room. For a long time the Lost Treasure of The Room was our absolute favourite escape game in Berlin. Although we still love that escape room very much, the Jackpot-Room of Illuminati Escape impressed us even more. These escape games can be found in the west of Berlin and the first rooms were opened in November 2017. One of the great things about Illuminati Escape is the creative story behind the rooms: You are helping out a secret organisation who is fighting the Illuminati, who are very close to developing a device which will enable them to dominate the world. You and your friends will be send to different cities all over the world and have to complete all sorts of missions to stop them. When we got to choose between the different missions of Illuminati Escape, we straight away were enthusiastic about the game in a casino in Macau (China). In that casino a NASA researcher with a gambling-addiction gambled away secret blueprints which are now in the hands of the owners of the casino: The Illuminati. You and your friends have to fly to the casino and retrieve the secret blueprints. You will have to crack all sort of riddles, puzzles and creative tricks to safe the world. Currently Illuminati Escape offer 2 rooms: Jackpot and Cyber Attack. In the following year two more rooms will follow and we will definitely will test them as well. The price for playing an escape game here with four people is 100 Euro. If you want to travel to Illuminati Escape, it is probably most easy to walk from the S-bahn stations Tiergarten or Zoologischer Garten. From both of them it is about 15 minutes walk to reach the escape game, which is actually located in a very impressive building with a rich history (ask the people of Illuminati if you are interested in the story). 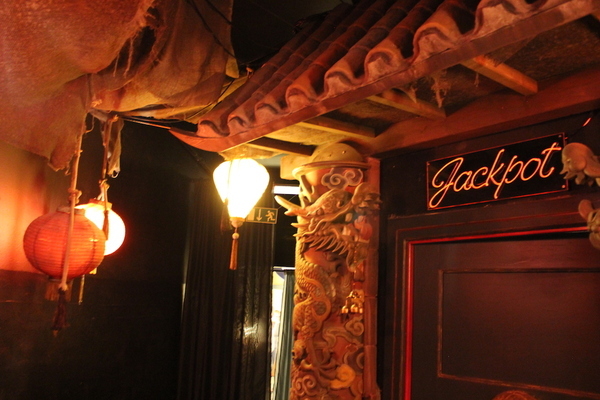 Jackpot is the best escape game in Berlin we have played so far. There are so many cool things, technical surprises and wow-moments in this escape game. Besides that you can see that the people behind this room have thought about every small detail and that makes the game even nicer. You have to experience it for yourself because telling you more exact information would ruin the fun for future players. When you really want to visit an original and unique escape game in Berlin, you have to visit The Room. This provider can be found in the east of Berlin but I would recommend everybody to invest the time to travel there. 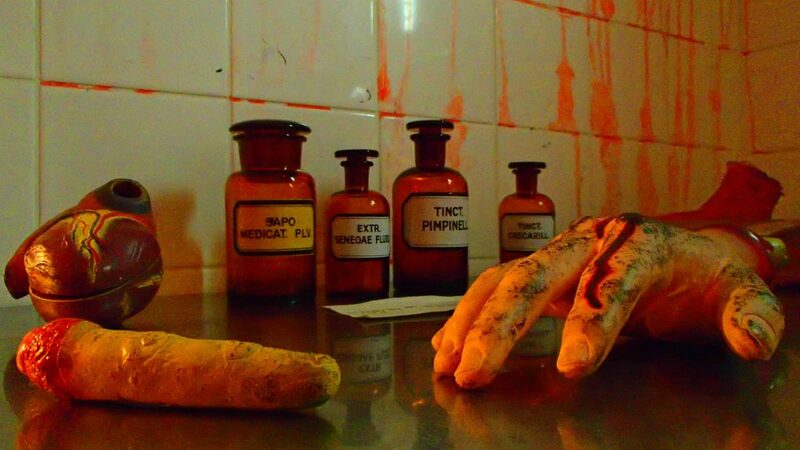 The Room offers only 3 escape games but all of them are carefully created and worth a try. Their best game, The Lost Treasure, really blew our mind. It is without a doubt one of the most creative escape rooms in Berlin. Maintenance workers where repairing a draining pipe under Berlin and discovered the entrance to an unknown facility. They immediately send some workers in but nobody ever heard of them again. Because you and your friends were at the right place at the right time you get a chance to unveil the location’s secrets. Obviously this all has to be done within 60 minutes, otherwise you might also get stuck forever. Simply said: This is what escape games should be like! You will have to solve many original riddles and puzzles and find your way to the big treasure. The room is build in such a unique way that you really feel like a treasure hunter. We do not want to ruin any surprises so there is not that much more we can say. Just go and experience it for yourself and let us know if you disagree. Besides The Lost Treasure, The Room also offers two other great escape games which are called Go West and The Beast of Berlin. You can reach The Room on foot from station Frankfurter Allee (1,3 km). When this is too much of a walk, you can also decide to take the car because there are plenty of parking spots available. The escape Games currently cost 104 Euro for four people, which is 26€ per Person for a great experience. 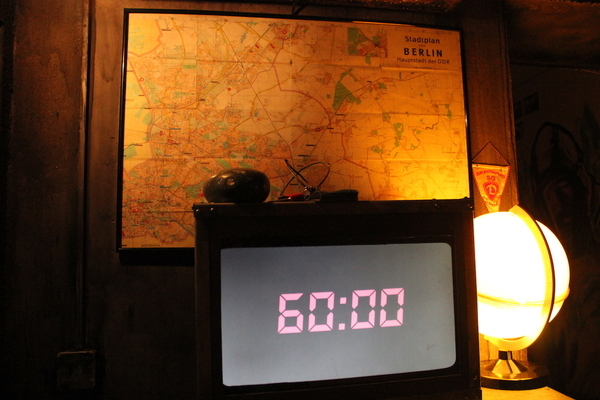 An escape game in Berlin with a very central location is Outopia. This escape room is located inside the Alexa Shopping Mall and therefore you just have to travel to station Jannowitzbrücke or Alexanderplatz and walk 5 minutes. Outopia is relatively new player in Berlin but got a lot of it’s riddles, technology and style from a larger Russian player. The lounge and waiting room are very clean and designed in a stylish way and the personnel was super friendly. A great thing about Outopia is, that you can get a lower price if you come and play on less busy moments. For example: Based on 4 people, a game before 17:00 on weekdays will only cost you 18 Euros a person. In the weekend you will have to pay 25 Euro each. Outopia offers three different rooms and the one we have tried so far is called Vault 13. There has been a nuclear war and you and your friends are the only survivors because you found your way into your shelter (Vault 13) just in time. You have been living there for a very long time but finally got the news that it is safe to get out again. But how is this even possible? The bunker was so well-secured that you and your friends need a lot of creativity to find your way out of the escape room within 60 minutes. One of the awesome things about this escape game in Berlin is the fact that you are actually allowed to break certain things during your escape. In all other escape games in this list this is not allowed and that makes Outopia unique. 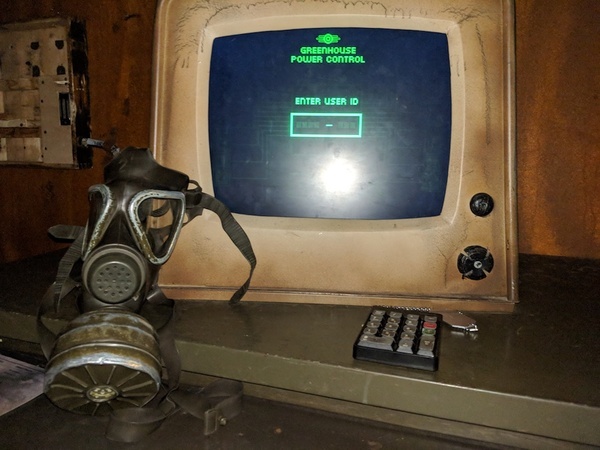 Vault 13 is definitely an escape room you should go and try out: The setting, riddles and special techniques used are very impressive. 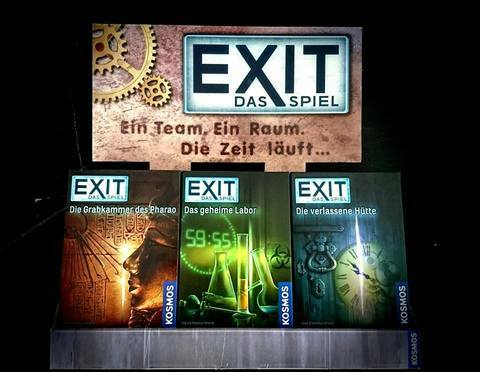 Also located on a very central location in Berlin, on walking distance of Alexanderplatz, you can find a collection of escape games called Exit Game. These guys were one of the first Escape Games in Berlin, way before some others in this list were opened. If you get a chance to visit Exit Game, you will notice that their process, escape games and setting are very advanced. All escape games are located in a basement, which ensures that you already get into the right mood before you even enter the room. The rooms are decorated and pimped till the last details and you are even able to beat your friends in battle-mode. In contrast to the other escape games in this list, Exit Game offers you 66 minutes to escape from the room or finish your mission. All games can be played in both English and German and the price is about 25 Euro per person (depending on the amount of people). Included in the price is a photo with your friends which will be printed so you can take it with you straight away. Exit Game is offering 6 different escape games. From Alien Invasion to Game of Crowns and from Secret Prison to Mad House: All have their own interesting story. We played one of their oldest games, the Mad House, and really enjoyed the creativity and detail in the game. The story reminds a bit of the movie Saw because we had to escape from a madman and we would die if we would not make it within 66 minutes. Because the Mad House has several rooms, it was a surprise over and over again when the game was gonna end. In the middle of the desert of Nevada there is nothing but one abandoned restaurant. At first it looks like an ordinary diner with an interesting location, but secret intel has led to believe that a lot more is going on there: The inventor of the quantum computer has disappeared in this area and sources state that an UFO has crashed here as well. It all just sounds like too much of a coincidence and therefore you will be send there together with your friends to find out what really happened. The Alien Grill is another very intuitive and exciting Escape Game in Berlin. The creators of Illuminati Escape put a lot of love and passion in this room, just like they did with the #1 in this list (Jackpot). I would recommend booking this room especially when you like technical riddles and astronomy. But also if you don’t it will be one heck of an experience once again. An Escape Room which is located not far from station Ostkreuz is called Labyrintoom. It was founded in 2015 and their escape games have been played more than 18.000 times as we speak. During this time, the company keeps trying to improve the rooms, which resulted in a very solid result. Currently Labyrintoom is offering three different rooms and compared to the other escape games in this list, <strong>the price is more than reasonable</strong>. 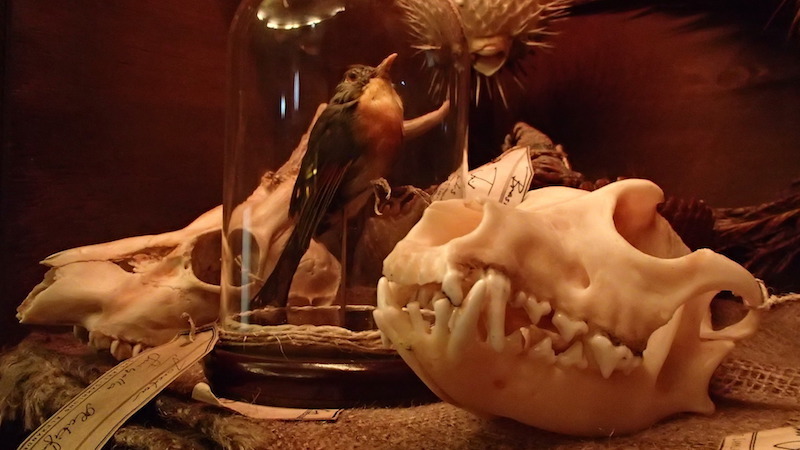 If you are a fan of Leonardo da Vinci, you should most definitely visit Labyrintoom because they have turned one of their rooms into his cabinet. Together with your friends, you will have to use the clues Leonardo himself left for you, to find the Holy Grail. As you can see on the image above, the room has a very nice feel to it and some of the puzzles and things we had to solve were refreshing and innovative. Although the room is not as good as the first competitors in this list, it is definitely worth a visit. Make a Break is an escape game which is located on walking distance from station Frankfurter Allee. The building fit perfectly in the Berliner atmosphere and looks like any other building in the Müggelstraße. This makes the first impression even nicer. Make a Break offers three different rooms and if you want to play with four people, every one has to pay 21€ to escape from a room. 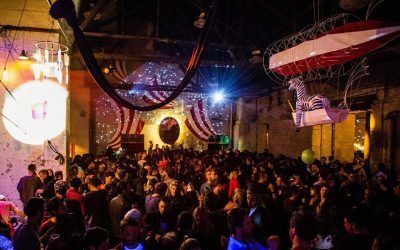 The rooms have been designed by professional stage-designers and a lot of pretty unique items can be found in the three rooms which Make a Break is offering. The location is perfect to go have a drink after the escape game by the way: Many clubs and bars are located on walking distance. An escape game which could not be more relevant to the history of Berlin is called Tear Down the Wall. This escape game is directly connected to the separation of east and west-Berlin after the 2nd World War. You and your friends go back to 1989 and have to help the secret service to carry out a secret mission: You have to make a fake call to the east, making sure they open the border for all your comrades. 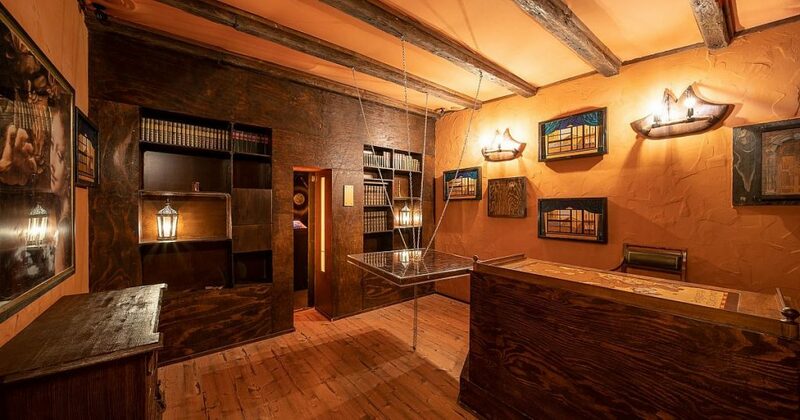 The setup of this escape game in Berlin is unique: The rooms are designed very well and the relevant background-sounds like sirens and people shouting make it ever more real. The reason why we did not put Make a Break on a higher position is the fact that most of the riddles and puzzles are quite similar. Compared to the top-three of this list with escape games, there was just a bit more surprising and creative things to complete. This might of course be done on purpose: Back in 1989, there were not many high-tech devices. The other rooms of Make a Break: I have been told that the other rooms (Berlin Never Dies and Breaking Mad) have more of these kind of challenges. Escape Berlin is Europe’s biggest live escape game. On the website you can see that this provider does not only offer escape games, but also some interesting detective-games. Currently Escape Berlin is offering four different games which all have a different setting and storyline. 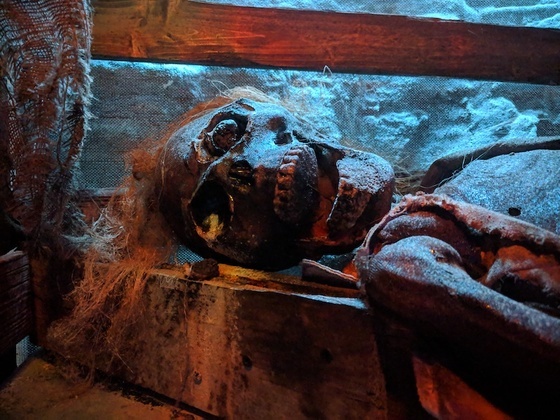 Last year their latest escape room was introduced and can only be played by people older than 18-years: Which sounds pretty excited, doesn’t it? Sherlock Holmes is gone. You and your friends get the chance to go into his apartment and find clues about his whereabouts. Will you be able to find out the truth within 60 minutes? You have to solve many different puzzles and riddles and some of them are really fun and inventive. Besides that, some of the attributes in the room are more than 100 years old, which gives the whole setting a very authentic feel. We really enjoyed playing Sherlock Holmes and think it deserves a top-3 position in this list of best escape games in Berlin. The only thing which could be improved a bit would be the storyline itself. Escape Berlin is located on walking distance from station Landsberger Allee. This means that it is easy to reach for everybody who stays or lives close to the Ringbahn. The personnel is very friendly and don’t worry if you are a bit early: In the lounge you can find many different mini-puzzles to kill some time. The prices of the rooms of Escape Berlin cost between 99 and 120 euro for four people (depending on the room). Cat in the Bag is an escape game in the north of Berlin and offers three exciting escape games right now. The games are created by a friendly couple who you also might meet if you decide to visit this escape game. The rooms are designed with care and the riddles and puzzles are both challenging and fun. A cool thing about Cat in the Bag is also that you are able to surprise someone: On the website you can find more information about something called “a romantic rendezvous”. This means that your partner or friend will find a ring or present in the end of the escape game. A very original way to surprise one of your loved ones. The prison is one of the more traditional escape games in this list. In contrast to detonating bombs or finding out what happened to Sherlock Holmes, you have to get the hell out of a room before you will be locked for life. This escape game is especially fun with a group of people because in the beginning you will be split up into two rooms. Although you are not in the same room you have to cooperate and find your way out of this mess. If you want more information about Cat in the Bag and the Prison, you can read our full article of last year. Where most escape games in Berlin focus on escaping a room, Mission Accepted specialised in all sorts of missions. The good thing is, that missions can be a wide range of things, so instead of searching for keys it can also be that you have to detonate a bomb or hack into a computer to save someones life. Missions just give creators of rooms way more opportunities to surprise their visitors and come up with the more versatile storylines. Mission Accepted is located a bit further in the west of Berlin, inside the Europa Center in Charlottenburg. This location can be easily combined with visiting the Gedächtniskirche or enjoying a nice afternoon of shopping in Berlin. Right now Mission Accepted has been around for about 2,5 years and this provider is offering 4 escape games as we speak. In this mission you have to help out a woman who found out secret information about a bomb which is going to explode in the building of the Bundesnachrichtendienst (BND). Shortly before she was arrested, she managed to leave some hints in her office and you and your friends have to go in there and solve this mystery. Who was in charge of this evil plan? Can you still stop the bomb from exploding? Secret Service is an exciting mission in which you will have to solve many challenging puzzles. Both Mission Accepted and Cat in the Bag are quite a lot cheaper than the other Escape Games in this list. If you follow the latest technological developments, you know that the VR-goggles have been improving a lot the last couple of years. The virtual reality experience really gives you the feeling that you are inside of the computer-game and therefore the games are very popular. What a great idea it has been to combine these computer-games with escape games and make a group of people solve problems in a virtual world. There are a few virtual reality escape games in Berlin at the moment and more will follow for sure. 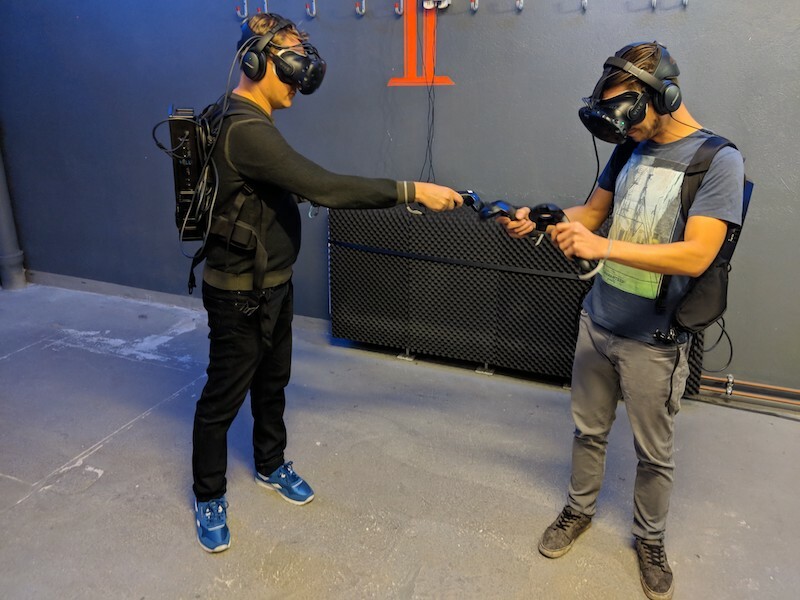 In this article we also have a separate section with these VR Escape Games in Berlin. The first virtual reality escape game we visited in Berlin was the one of Exit Game (see Madhouse above). This company, which is located on walking distance of Alexanderplatz, offers the first virtual escape game in Berlin. As you can see on the image below, all players are wearing VR-Goggles, headphones and a computer on their back. You and your friends are actually standing in an empty room in Berlin, but will obviously meet-up in the same virtual world. The walls of the room are representing the borders in the virtual world and everything makes sense as soon as you start doing it. The virtual escape game Exit-VR is offering is called Huxley. Besides the fact that this escape game takes place in the virtual world, there is one other difference with traditional games: Instead of getting the usual 60 minutes, you will get only 44 minutes to solve all mysteries. In the game called Huxley, you and your friends are send to the year 3007 to save the world and bring back a new and superior energy-source which has been kept hidden from the right people for way too long. You have to solve all sorts of puzzles and do the make the right decisions to turn things in your favour. If you want to get more information on this virtual escape game, you can watch this Youtube-video. Tip: Want to play escape games at home? Do you wanna play an escape game with your friends at home? Some of you might not live in a big city like Berlin or maybe you just like to stay at home on a rainy day? You can order an escape game and play it home. Obviously it is not the same experience as the ones listed above, but the prices are very reasonable (starting from 10 Euro here at Amazon). The rules of the game are similar to the real escape games and you also have to solve puzzles and riddles together with your friends. Keep in mind that you can only play the game once, but that would still be very cheap if you play it with 4 persons. If you want to buy one of these games you can click the link below. Click here to buy an Escape Game for home! It is Illuminati Escape…not Illumunati. And it’s The Lost Treasure at THE ROOM and not national treasure. There is a game called national treasury in Berlin which is one of the worst…. Hi! We are coming to visit Berlin for a few days, but none of us speak German. Which room(s) would you recommend for English-only speakers? I’ve done 7 rooms across the USA, so familiar with the process… but not the language. Thanks! in the article we have written which languages the escape-rooms are offering. So as long as it says “English” it should be fine. have you tried Make a Break’s “Tear Down This Wall”, a history inspired mission in which you have to find your way from East Berlin to West Berlin? Really cool mission, recently renovated and really Berlin-esque. thanks for your feedback. We will definitely try that one out soon. The opened end of 2017 and are new on the market but have one story that combines all of their rooms. yes I heard about that one and will probably visit it soon. After that I will update the article. Thanks a lot. We are actually planning to visit that escape games in the next weeks. So maybe you will see an update here soon. Thanks for the valuable list. Do you know any websites that collect escape room reviews so I can see which ones there are in Berlin and how they are rated (except for TripAdvisor)? Besides tripadvisor I do not know any website who is offering such a thing. But I can guarantee that you will like the first one in this list. Make sure you do National Treasure. We really enjoyed Sherlock Holmes. The small tasks we had to complete were pretty unique. But I guess everybody has its own favorites.